We Grow Businesses Ltd (“We”) are committed to protecting and respecting your privacy. This policy (together with our Terms of Website Use and any other documents referred to on it) sets out the basis on which any personal data we collect from you, or that you provide to us, will be processed by us. Please read the following carefully to understand our views and practices regarding your personal data and how we will treat it. By visiting wegrowbusinesses.co.uk you are accepting and consenting to the practices described in this policy. Information you give us. 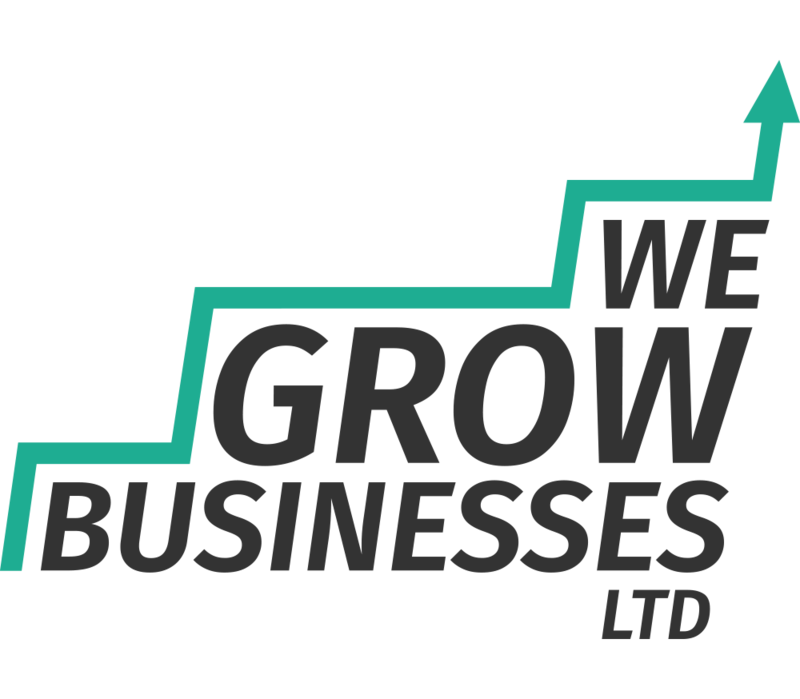 You may give us information about you by filling in forms on our site wegrowbusinesses.co.uk (our site) or by corresponding with us by telephone, e-mail or otherwise. The information you give us may include your name, e-mail address, phone number, business information, preferences, interests and any other information relevant to surveys. Information about your visit, including the full Uniform Resource Locators (URL) clickstream to, through and from our site (including date and time); services you viewed or searched for; page response times, download errors, length of visits to certain pages, page interaction information (such as scrolling, clicks, and mouse-overs), and methods used to browse away from the page and any phone number used to call us. to make suggestions and recommendations to you and other users of our site about products, services, promotions or other information that may interest you or them. We may share your personal information with any member of our group, which means any subsidiaries, or ultimate holding company and its subsidiaries, as defined in section 1159 of the UK Companies Act 2006. If We Grow Businesses Ltd or substantially all of its assets are acquired by a third party, in which case personal data held by it about its customers will be one of the transferred assets. If we are under a duty to disclose or share your personal data in order to comply with any legal obligation, or in order to enforce or apply our Terms of Website Use or our other agreements; or to protect the rights, property, or safety ofWe Grow Businesses Ltd, our customers, or others. This includes exchanging information with other companies and organisations for the purposes of fraud protection and credit risk reduction. We are committed to ensuring that your information is secure. In order to prevent unauthorised access or disclosure, we have put in place suitable physical, electronic and managerial procedures to safeguard and secure the information we collect online. Unfortunately, the transmission of information via the internet is not completely secure. Although we will do our best to protect your personal data, we cannot guarantee the security of your data transmitted to our site; any transmission is at your own risk. Once we have received your information, we will use strict procedures and security features to try to prevent unauthorised access. The Data Protection Act 1998 (the Act) gives you the right to access information held about you. Your right of access can be exercised in accordance with the Act. Any access request may be subject to a small fee to meet our costs in providing you with details of the information we hold about you. If you would like a copy of the information held on you, please contact us. If you believe that any information we are holding on you is incorrect or incomplete, please write to or email us as soon as possible. We will promptly correct any information found to be incorrect. For the purpose of the Data Protection Act 1998 (the Act), the data controller isWe Grow Businesses Ltd. See footer for further details.